Home Dental Why Do Teeth Turn Yellow? Why Do Teeth Turn Yellow? Teeth discoloration is a problem which bothers many individuals. Though it is not an urgent concern as compared to other dental concerns, it affects the confidence of a person. It is totally natural to be conscious about the color of our teeth. But, yellow teeth are not always a sign of poor oral health. But, this condition can be reversed. And these can be caused by wide array of factors. Extrinsic stains are those stains which are on the surface of the Enamel (enamel is the outermost layer of the teeth). And the most common reason for the extrinsic stains is the lifestyle and the food consumption. For example, smoking, alcohol, tobacco, coffee, and some fruits like grapes, blueberries, pomegranates’ etc. And especially acidic foods and beverages cause theses stains. Even a healthy salad with balsamic vinegar dressing can leave an unsightly color on your teeth. Intrinsic stains are those stains occur within the teeth. Numerous medications can cause the intrinsic stains. Excess of fluoride, antibiotics in children etc. In most of the cases it is difficult to reverse these stains, and sometimes it can also be permanent. Sometimes, the same color teeth flow in the family and the main reason for this is genetics. Reddish brown, reddish yellow, gray and reddish gray are the four natural shades of otherwise white teeth, and this depth of color varies across a spectrum from light to dark. Tetracyline and Doxycyline antibiotics can be the cause of the discoloration, especially in children. If children below the age of 8 in take these antibiotics, it can lead to permanent discoloration. And if the mother intakes these antibiotics during the second half of pregnancy. Fluoride is good for teeth, but excess fluoride can cause yellow or brownish yellow spots called fluorosis. This problem persists mostly in areas where the drinking water contains high levels of naturally occurring fluoride, such as areas where people get their water from wells. Human teeth become yellow or gets discolored as they get older. And during the lifetime of human, the teeth undergoes exposure to various acids in food and drinks and this results in the enamel to thin. Teeth look yellow when the enamel is thin and the dentin underneath shows through it. Dentin is a deep yellow to brownish material inside your teeth under the enamel, and it’s often responsible for the yellow you see when you look in the mirror. Thick enamel covers up the dentin. Smoking or tobacco consumptions leaves a yellow or a brown stain on the surface of the teeth. And even alcohol is worth considering it as a cause for discoloration. Impact of an accident or physical trauma can crack tooth enamel and damage the tooth’s interior, leading to discoloration that may indicate bleeding that needs professional attention. Being confident is essential and it is not possible without a pleasant and confident smile, and no matter what type of stains on your teeth it can be whitened in most of the cases. 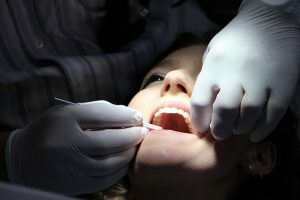 Visit Dr. Peter Castellana (https://www.drpetercastellana.com/) for professional teeth whitening and one stop to your all round oral health.